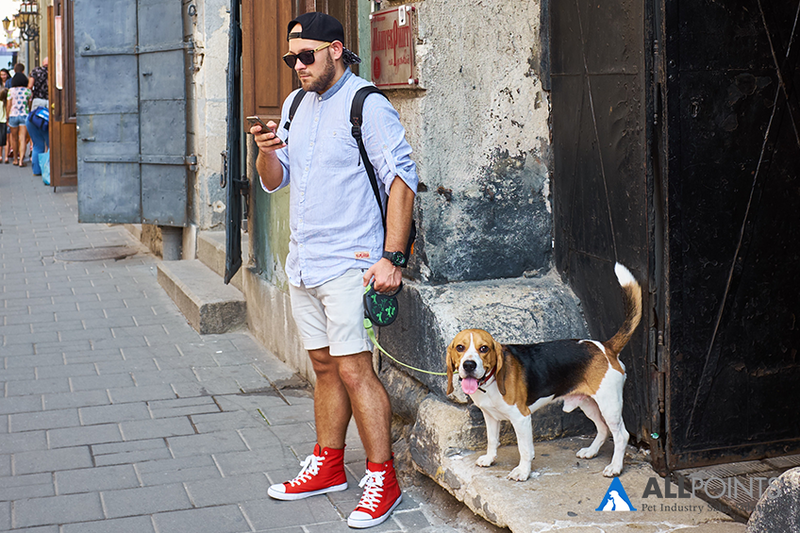 Over the last few years, millennial pet owners have been the highlight of discussion across every channel in the pet industry. Not only are they becoming the number one source of buying power in America, but they're also changing the face of how the industry operates. As pet food becomes more varied and sustainable and pet containment gets more stylish, the pet industry is clearly reacting to the needs and wants of what is now one of the most economically powerful generations of pet owners. Millennial pet ownership will continue to grow even more so in 2018. This begs the question: how on earth do you attract and keep the attention of this demanding generation? Winning over millennials drills down to three things: product selection, brand messaging, and customer value. In case you haven't already noticed, millennials are one of the most picky generations in terms of product quality; especially when it comes to their pets. In the coming years, it will become more difficult manufacturers to get away with sub-par quality pet products; unless there is a clear value to them (we'll cover more on that later). In lieu of low-quality products, these are some of the products that will attract millennials and bring them closer to your brand. Millennials want it all. Not only do they want pet products that are premium quality and sustainably sourced, but they also want it at a price that fits their lower budgets. Conversely, it's worth noting that many millennials are more willing to spend more on their pets. This means you may be able to get away with more premium pricing on the higher quality products. Yet, the only way to get away with this is to prove the value of the product (i.e. show your customers that it's worth its premium price). According to a Packaged Facts report on Millennials as Pet Market Consumers, over half (55%) of millennials will opt for a natural or holistic solution to pet food and medication before going the conventional route. Similar to other aspects of the industry, this likely stems from the fact that this trend is popular among human products as well. This trend is sure to continue to rise in 2018 as alternative proteins, natural ingredients, and holistic approaches to pet food grows in popularity. Transparency is as simple; it's all about being completely open and honest about sourcing, manufacturing, and selling processes. Because pet owners are understandably concerned for the well-being of their pets, your customers want to make sure they're spending money on a product that they know and trust. Along with transparency is product labeling and packaging. In fact, according to Pets+ Magazine, millennials are "most likely to use pet foods with formulations geared toward enhancing the health of their pets, including pet foods characterized as organic, holistic, non-GMO and grain-free." Have we used all the hot keywords yet? Sustainable products, natural and holistic solutions, and transparent messaging (more on messaging later) are the key trends we expect will continue to take off in 2018. So, what's the best way to convey transparency in pet products? Through your brand messaging and communications with customers. Brand messaging is one of those concepts that can vary depending on your circumstances. At its core, it's all about how you communicate with current and potential customers in terms of what you say and how you say it. When it comes to your brand message, the idea is to be true to who your business is and why you do what you do. However, there are key points to focus on that will help you stand out as a brand to millennials. Before you begin communicating your purpose, the first step is to decide what that is. In our Pet Business Marketing Guide, we walk you through how to discover your why, and why it's important to succeed. Once you've determined your purpose, sharing it with your customers gets them to relate to you beyond the place to purchase pet food. Josh Allen, owner of a couple of independent pet stores in Bozeman, Montana, tells Pet Business Magazine that millennials "really like brands with stories and purpose that are different than the typical ‘We donate one percent to XYZ pet-related, national nonprofit.’ They really like unique brands and stories." There it is again: transparency. This and authenticity are two of the most important aspects of your brand messaging. Millennials hate being sold to or lied to and many can smell it from a mile away. Millennials are very much more informed than previous generations. In most cases, they've done their research, they know what to look for, and they know when a company isn't being fully honest with them. To be clear, transparency is about more than just telling a customer the truth when they ask; it's about bringing everything to the forefront at the very beginning. Not only will millennials trust you more, but they'll also feel more closely connected and engaged with your business which fosters brand loyalty. What if you have a really great brand message, but it's not getting out to the right people? The key is to ensure you're communicating that message where your audience is already at and doing it in a way so that they'll listen. Find out where your customers are spending the most time online - are they in Facebook groups within your community? Are they reading local blogs? Are they inspired by influencers in your area? Once you know where they're at, join in and become a part of the conversation. To clarify, becoming a part of the conversation doesn't mean blasting self-promotion ads in social media groups. That's the easiest and quickest way to get kicked out, ignored, and disrespected by the community. Instead, show up as a valuable resource. If people are asking about the best pet food for their cat, respond with your top brands and let them know they can get them at your store. Make sure every interaction is more about giving advice than gaining customers. If you do that, the customers will go along with you anyway! Once your product selection and brand messaging are set, the last step is to give your millennial customers the value they're looking for when they buy from your business. If you're an independent pet store, you likely aren't able to compete with discounters like Amazon and Chewy who can afford to sell loss leaders in order to make a profit elsewhere. Fortunately, that's not the only way to prove value to your customers. Read more on how you can improve customer experience in your pet store here. Read more on how you can add customer value when you can't compete on price. Although millennials may not make up the core set of your customers yet, they will continue to grow in purchasing power over the years and thinking about your strategy now can be the difference between making profit and just barely getting by.